If you are looking for high tech locks, Fort Worth Locksmith Pros is the place to go. We are an established, community-based company. We offer complete locksmith service in Fort Worth, TX and surrounding areas. Our services are licensed, bonded, and insured and all technicians have 5+ years of experience. With honest, upfront pricing and 24×7 locksmith service, you can count on us. We also have a team of mobile locksmiths who can be at your home or business in 30 minutes or less. Fast and friendly, our expert technicians are professional and courteous. Up front pricing will inform you of the price before any installation and repair services so you can rest assured that there won’t be any hidden fees. Whether home or business, it is your job to keep your place and possessions safe. Fort Worth Locksmith Pros has a variety of comprehensive locksmith services for Fort Worth, TX and surrounding areas. To increase your level of security, high tech locks and electronic locks such as keypad locks, biometric locks, and smartphone-controlled locks are your answer. If a homeowner knew exactly when a burglar was coming, he/she would be ready and not allow his/her home to be broken into…but, you don’t know when that may occur. High tech locks are the answer to keeping your home safe. Forget the keys – remember the code. Each person has their own. Codes can be created for the keyless locking system in only a few seconds and easily deleted just as quickly. No keys to worry about losing or hiding. The keypad hides nicely under a traditional-looking exterior that is strong and burglar-resistant. For commercial establishments, keypad locks are an efficient way to enter and exit rooms. No need to fumble for the right key, just press the code and voila! 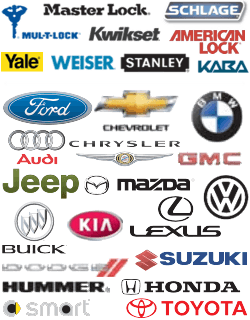 We specialize in keyless entry system installation and repair. Our expert technicians use high tech lock equipment and tools, and are well experienced in both residential and commercial lock installation and repair in Fort Worth, TX. Modern technology has revolutionized security. Ten years ago, opening locks with a fingerprint or iris would have been science fiction. The future is here. The new locks that recognizes biological information have not only made the fingerprint/iris lock available, but also affordable. These high tech locks work with almost any type of door. They do not require special door frames. Looking like a traditional lock, a sliding cover reveals the screen to accept the fingerprint. There are three levels of entry using this lock: fingerprint and/or iris scanning, passcode, and an emergency mechanical key. They offer high security for your home, and are even better for the high profile business. Secure and safe, 10-15 fingerprints can be stored in the system. Ready to step up security? 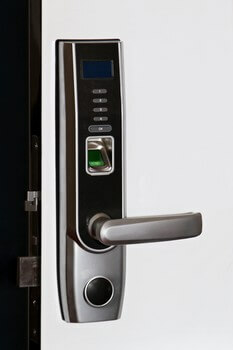 Wireless, smartphone-controlled electronic locks replace the traditional lock and key. Lock and unlock the door with your smartphone code. Share codes with those who require entry to your home or business and control how long that particular user code remains active. You control when people have access to your home, whether for a couple of hours or for a week. Once the code expires, it cannot be retrieved and used again. For businesses to know when their employees enter a building, a time-stamped, date-stamped entry Log is generated on the smartphone to view who has entered or exited. The high tech lock application can be disabled at any time through the Internet if the phone is lost or broken. These locks also come with an impact alarm, so it resists an intruder trying to forcibly break in. Do you want to feel more safe and secure? Equip your home or work place with these new high tech locks and rest easy with the knowledge that no one can enter without permission. Call us today. We are available all hours of the day, seven days a week. We want to hear from you. Licensed, bonded, and insured, we can help you feel safe. All of our 24/7 locksmith services come with upfront pricing and a promise to arrive within a quick 30 min response time. High Tech Locks Installed and Repaired http://locksmithftworthtx.com/high-tech-locks/ 4.0/5 based upon 12 reviews.